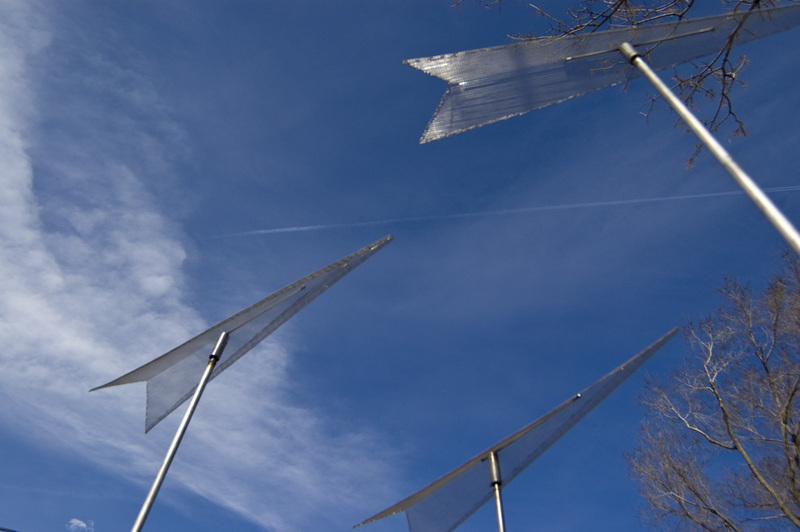 Sculpture composed of several 4-foot arrows made of stainless-steel screen shaped like a paper airplane. 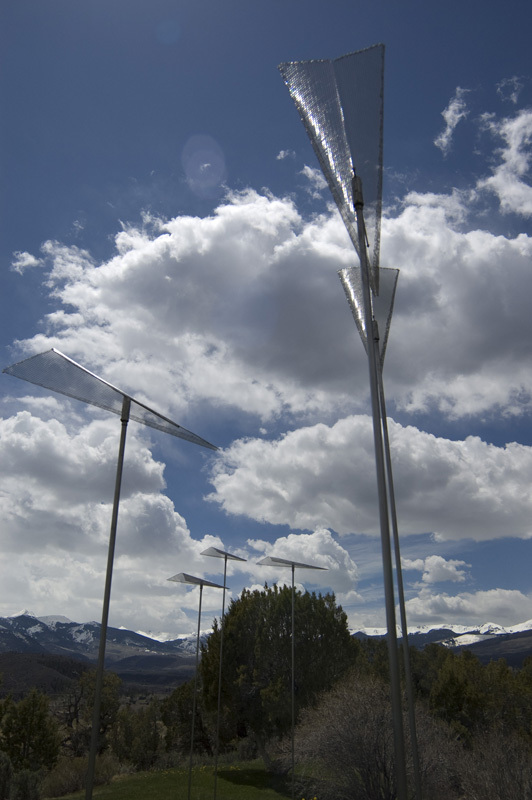 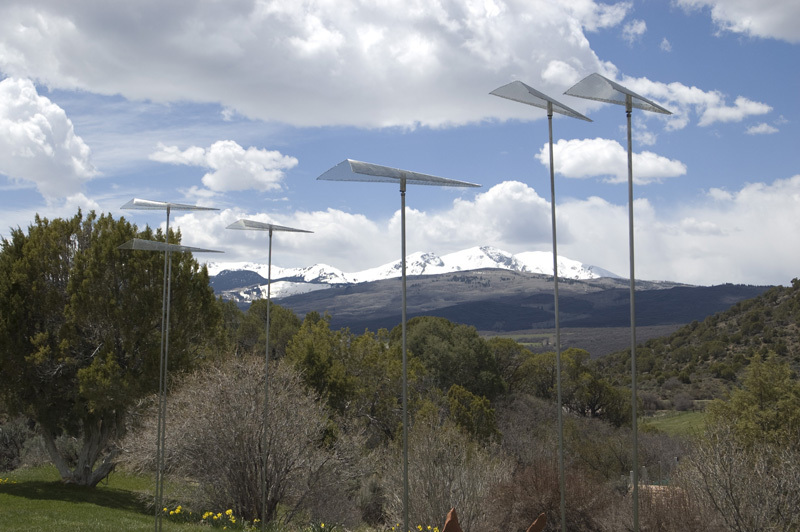 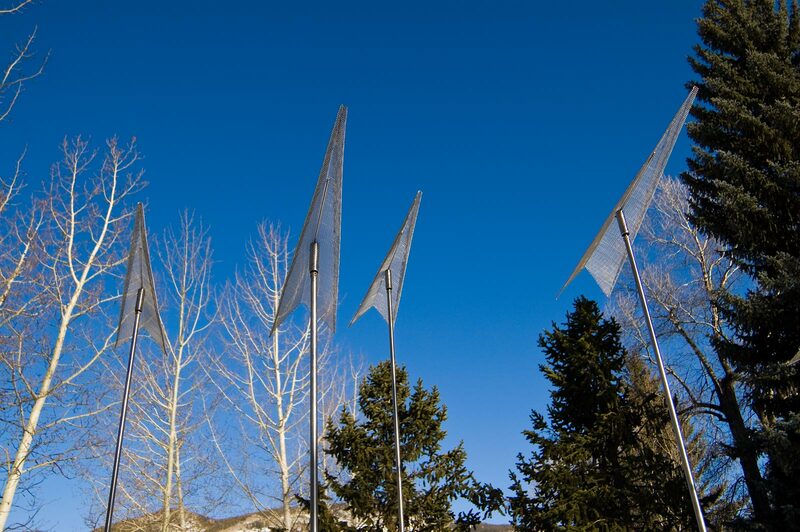 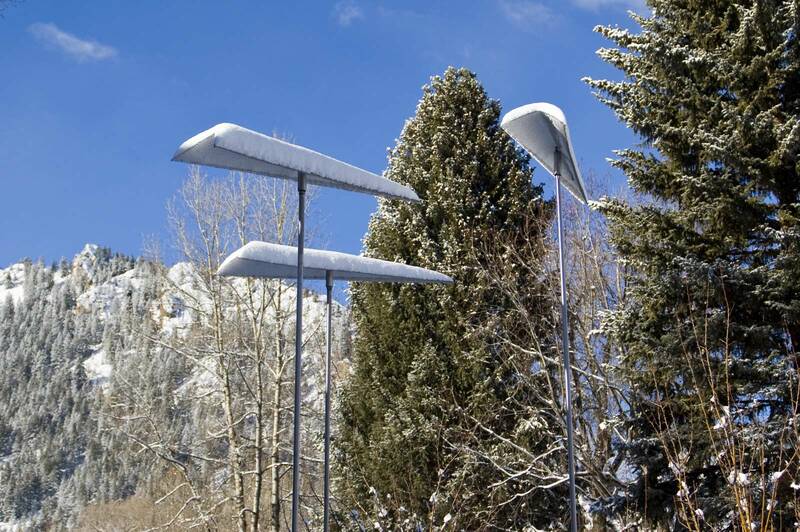 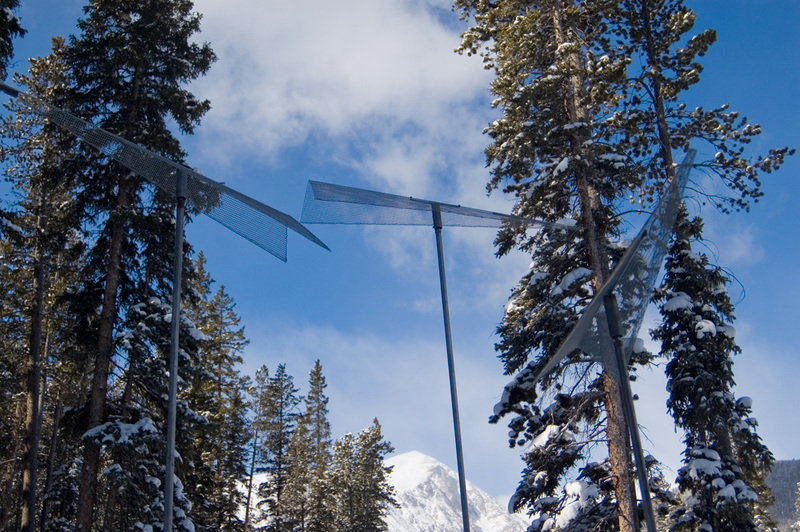 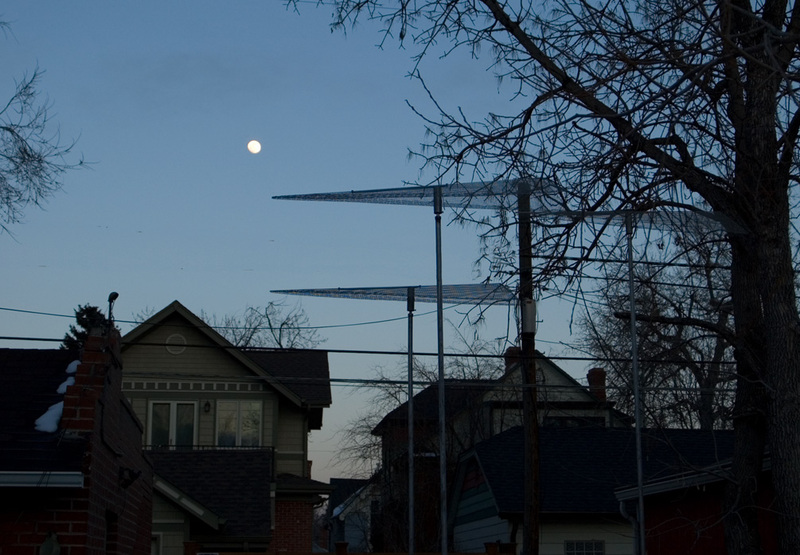 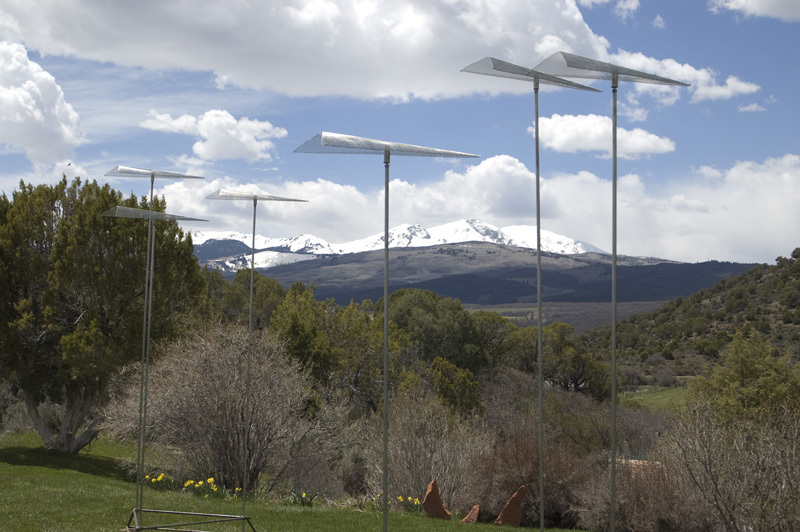 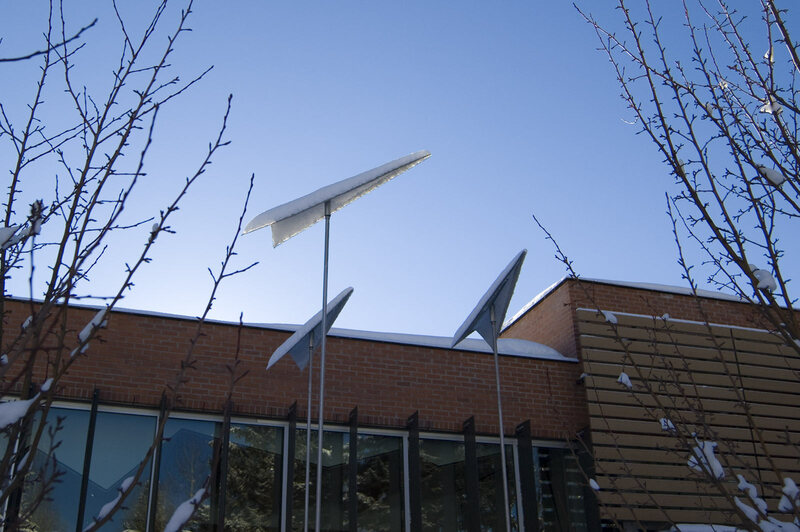 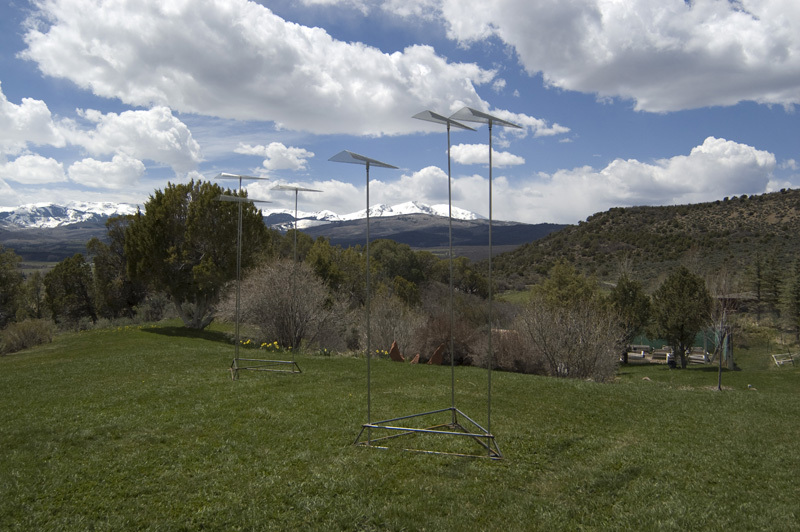 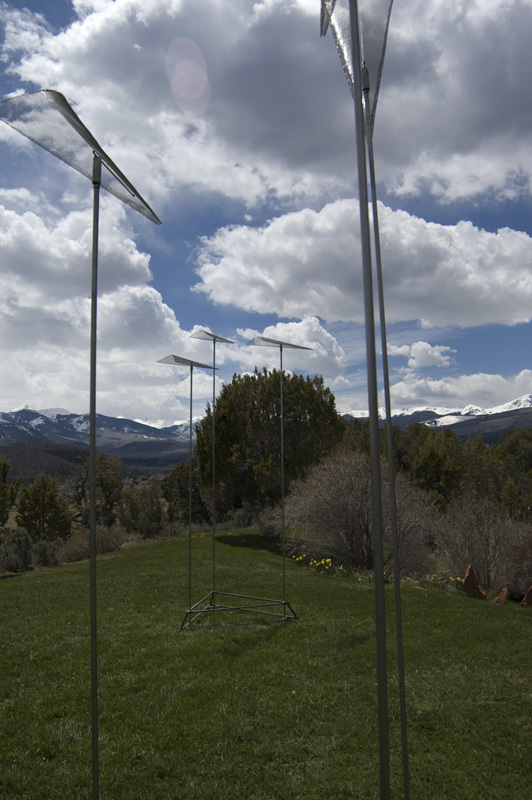 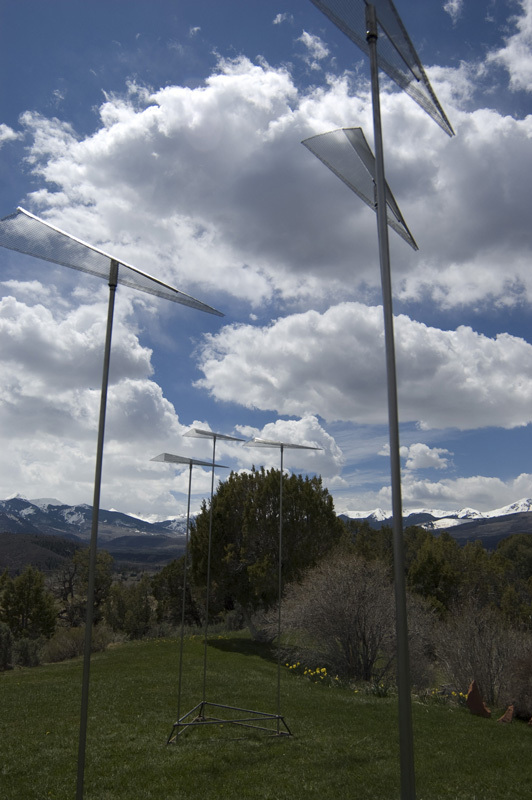 Sleek and somewhat invisible – until they glint in the sun, or are backlit by the moon – these wind vanes stand 8 to 12 feet tall, and are installed in groups. 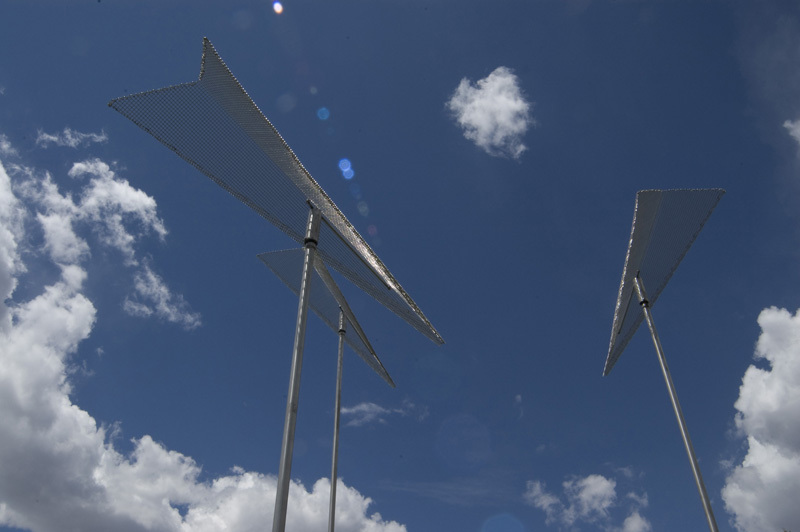 Together the vanes engage in something like a conversation as they independently rotate to indicate wind direction. 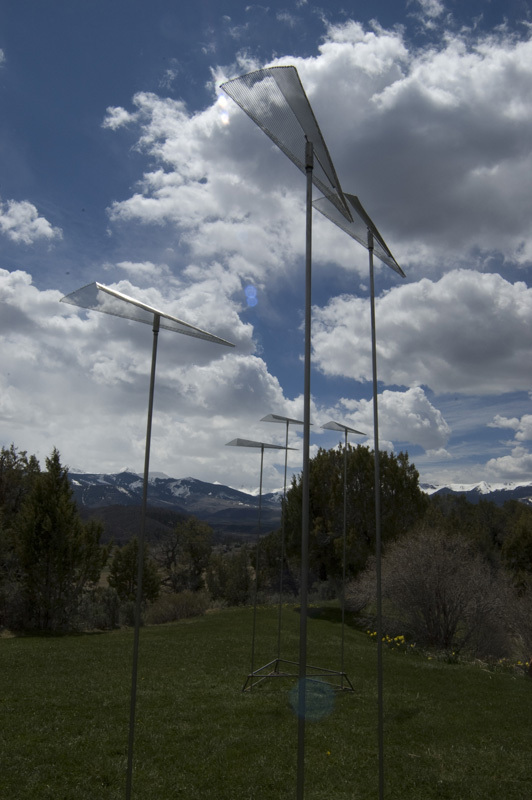 On first glance, you expect the Invisible Aerovanes to give some practical information, and they do. 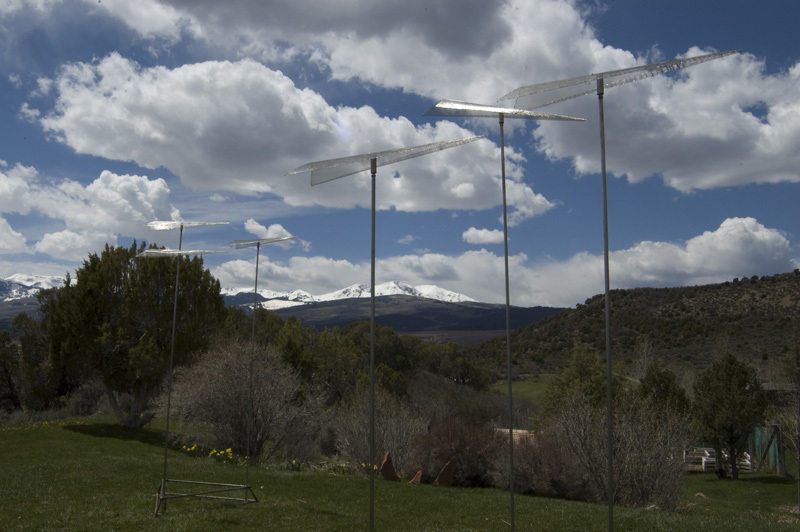 After some further watching, the vanes at different heights respond differently, and viewers soon realize the wind is quirky. 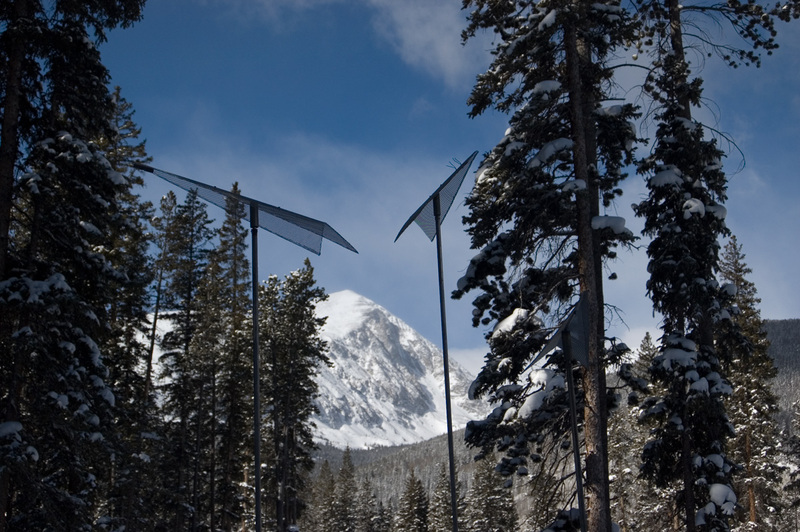 With heavy snow on top, the vanes become soft-edged, snow domes. 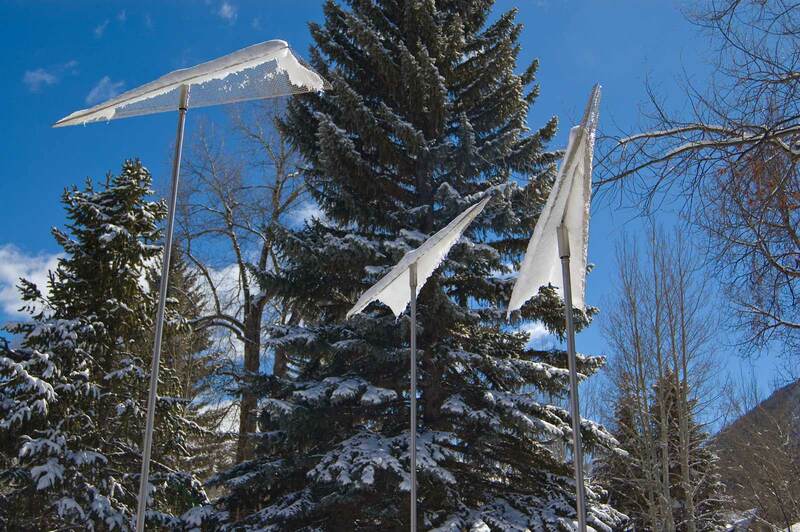 Designed so that the weight of the snow stops their movement, they no longer tell us about the wind, but are visible. 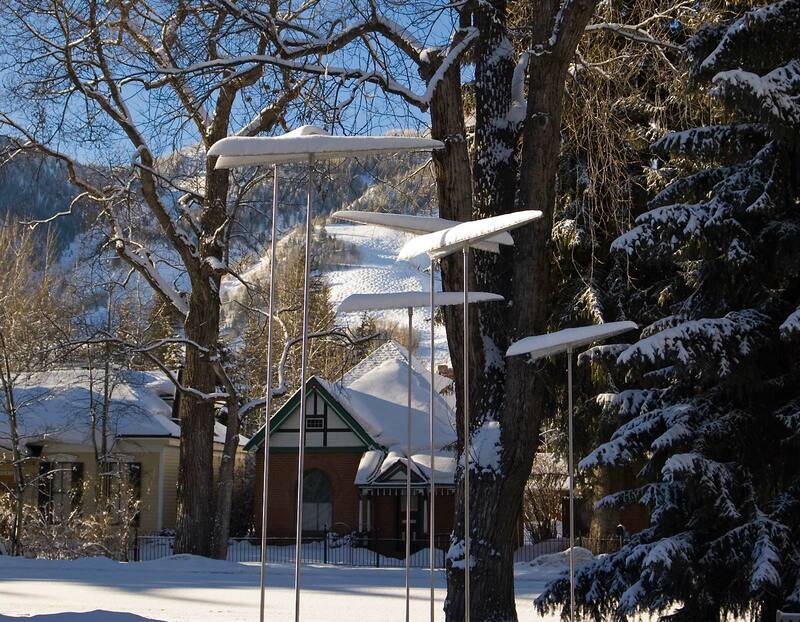 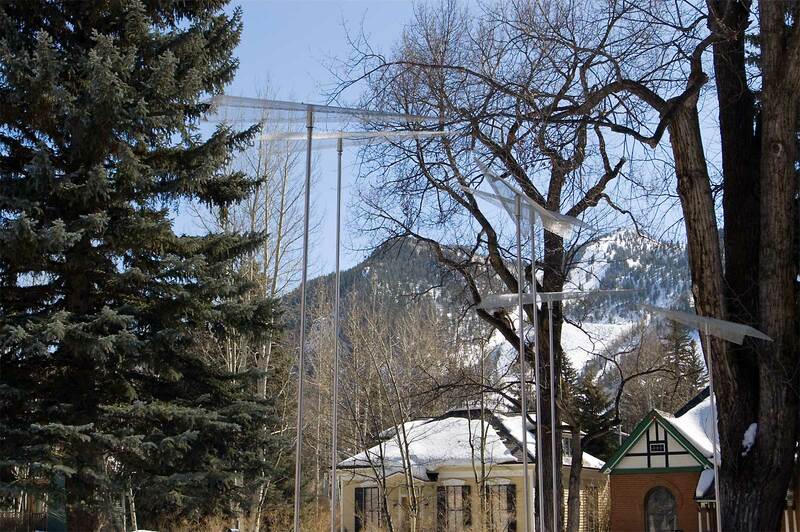 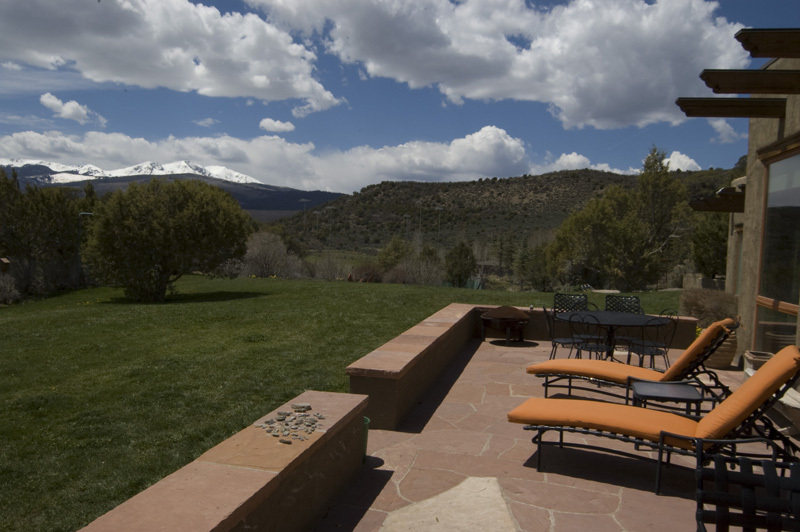 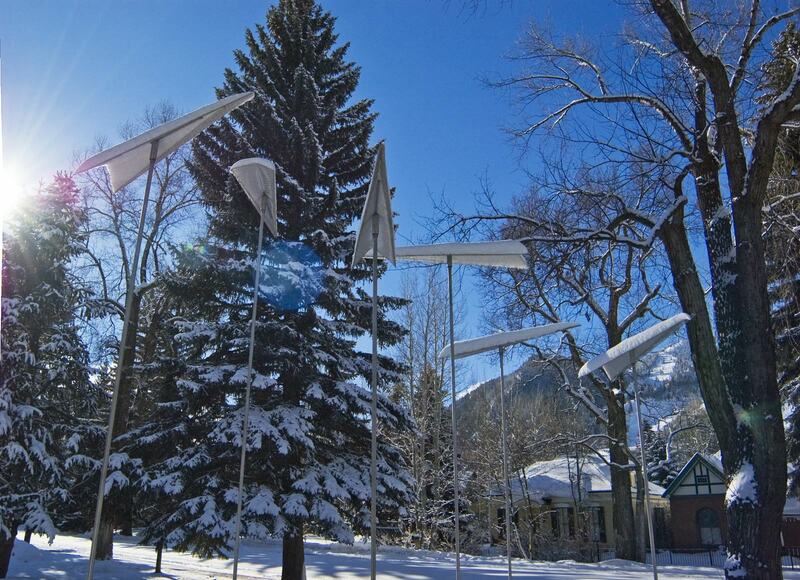 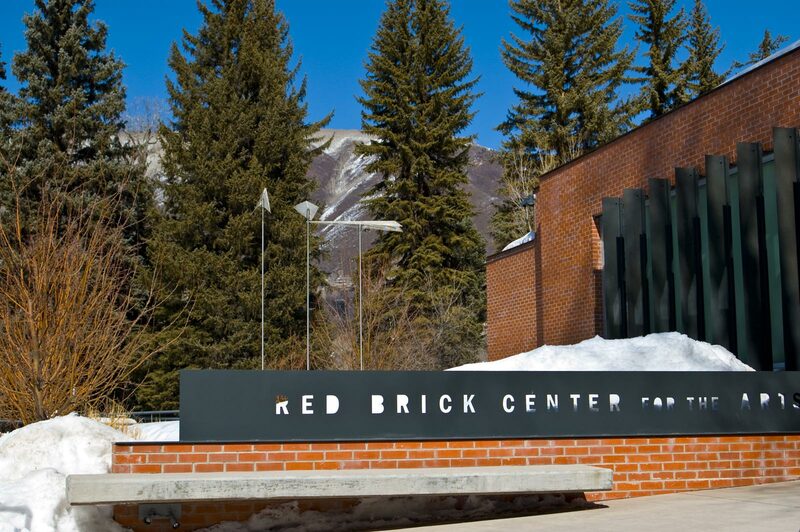 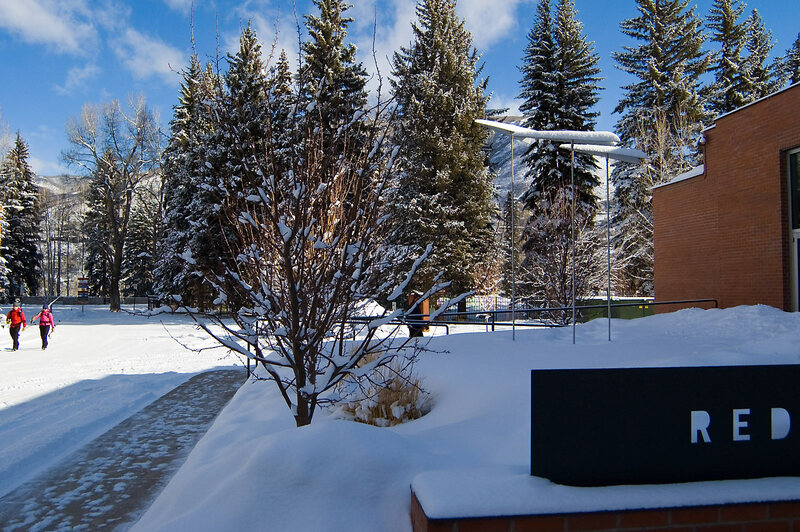 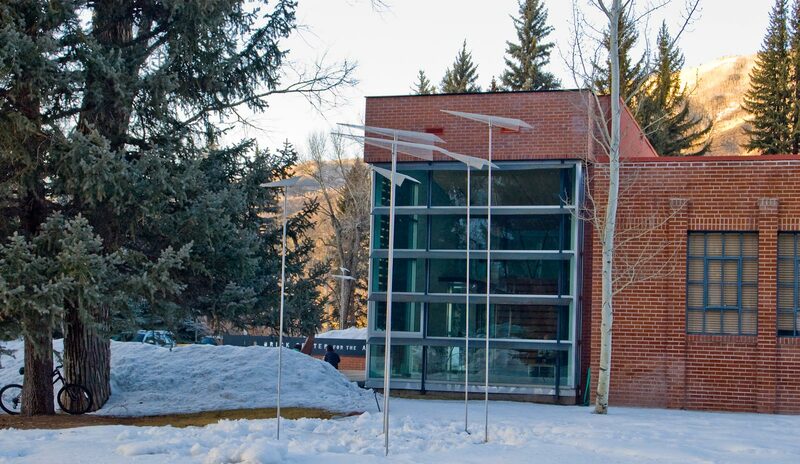 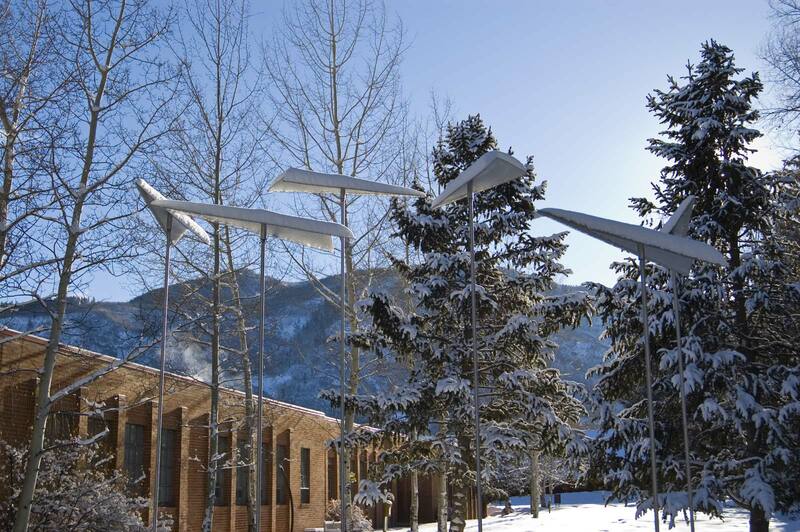 Initiated by a grant from the Wilderness Workshop's Artist in Wilderness Program, this sculpture was installed at the Red Brick Art Center in Aspen, Colorado in March 2013 and is now in private collections in Aspen.